As per reports, India sent 3 alerts to Sri Lanka before the Sunday attacks. One alert was sent on the occasion of Easter, on Sunday. India received this information beforehand from National Investigation Agency (NIA). Considering the safety of Sri Lanka as its responsibility, first alert to Sri Lanka was sent on April 4, while the last alert was sent hours before the attacks on 4 hotels and 3 churches of Sri Lanka, which was being planned by suicide bomb. 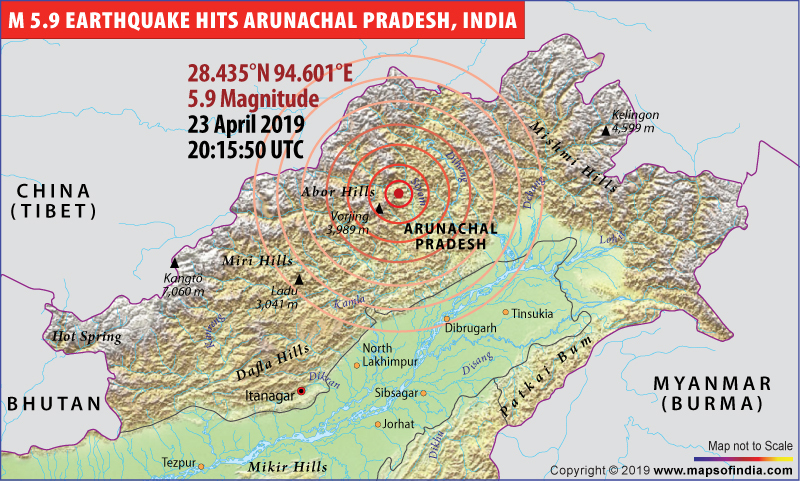 An Earthquake of Magnitude 5.9 hit Arunachal Pradesh during early hours on Wednesday, as stated by the US Geological Survey. Its tremors were also felt in Tibet. The reports state that the epicentre of this shallow earthquake was about 33 kilometres (around 21 Miles), North-North West of a place called Along, which is 370 kilometres Northeast of Itanagar. Arunachal Pradesh is one of the least densely populated states, but still it has a population of 1.2 million people. Officials of China stated that as per the Xinhua news agency, the tremors were felt even in Tibet. The Trump administration reiterated on Monday that the waiver granted to India- from sanctions pertaining to the purchase of crude oil from Iran - will cease on May 2, 2019, as envisaged. No extension is being considered going forward, and any country that continues to buy oil from Iran will invite trade sanctions from the US. The move is expected to raise the price of crude oil in the international market, affecting large consumers like India in the long run.